Fake blood, that is. 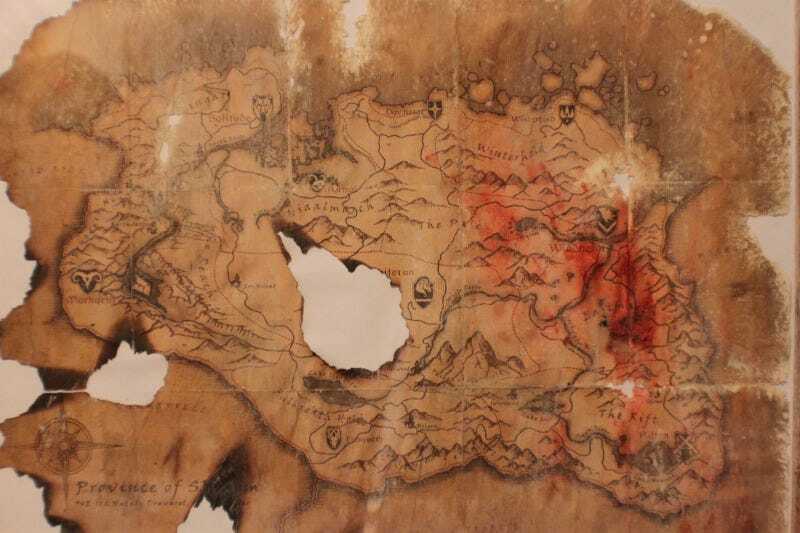 Skyrim player and prop maker Shannon Clawson decided to modify the map bundled with The Elder Scrolls V. Out came the sandpaper, fake blood, and fire. Add an old frame and bam you're done! "Project time was less than an hour," Shannon wrote. "Well worth the effort." And yes, Shannon is well aware that blood oxidizes and went with the "fresh blood" look.